Sometimes it takes a life changing event in order to change your spending ways and how you previously saved money, or lack thereof. 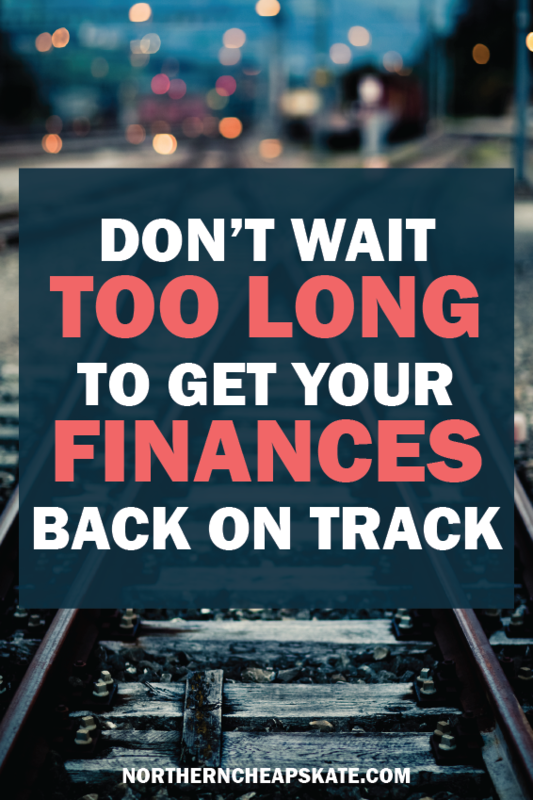 For years, I was bad about overspending, and probably still am to a degree, not being afraid to put changes on a credit card, that is until my balance was embarrassing and I realized I needed to make a change quickly. The days of not caring about my credit card balance are over and I make sure the balance is paid off each month to avoid interest, something I never did before, but I look back now with a baby on the way and wish I would have started eliminating unnecessary purchases sooner and saving more, something that would not taught to me at an early age or even during school, but will definitely be engrained into my child as it grows up. Creating a budget is the easy part, and even following it to some degree, but sticking to it and maintaining it successfully is where the difficult part comes into play. Studies have shown that two-thirds of Americans do not follow a budget, meaning that most of the population spends at-will, something that is scary considering how my spending discipline was in my younger days. If you first add up every dollar that you receive in a given month, subtract the mortgage, utilities, and figure out a set amount to allot for groceries, gas, and spending money, therein lies the tricky part that will need to be adjusted as you go. Of course, not to forget about contributing to a savings account. That is the biggest adjustment that you need to make and was the hardest for me. Whether it means brand-name clothes if you are vain like we used to be for some reason, taking trips we could not afford, or going out when we didn’t have the money, these are all areas that need to be improved. These days, if I was out of college age, I feel my spending would be a fraction of that, as I am pretty modest, and probably always should have been, again “if I know now, what I knew then…”. I do still believe that life experience still does outweigh a lot in life, so it is important to still take those trips, go to those concerts, but if you do not want to budge on that, you will need to in other areas in order to still make that budget bottom line. It may seem played out to always hear “save, save save”, but it is true. The older you get, the quicker life seems to go by, and when you are in your early 20’s and feel like your life is ahead of you and you can worry about saving later, that is somewhat true, but that window is closing as each year goes by. Each paycheck you should be contributing to a 401(k) account, especially as much as your company matches. Beyond that it is good to have an emergency fund built up with at least three to six months’ worth of expenses in case an emergency should happen. Reducing expenses is great and saving money is optimal, but if you save every extra penny and are stuck in the house without enjoying life you while you are young you were definitely regret later in life when you are old and can start to live off the money you have saved when you should have been out there enjoying. Again, life experiences are important, so if you have been doing a good job of sticking to a budget and save, reward yourself. Budget to save up for a new TV, or a trip, in a few months, instead of putting on a credit card just so you can have it now. Fortunately, it was never at the point where I needed to file bankruptcy to clean up my spending habits, but with an inflated balance and not much money leftover was enough to get me to change my ways. My parents were not in finance, and of course they are not to blame for my misuse of money, but I will definitely pass on my newfound knowledge to the child as it is growing up. It was something I wish I would have learned in school, which is funny considering I would to business school. Maybe I forgot to take notes that day. Yes, a budget is important. Spending at will sounds scary but it’s true. Sticking to a budget and accounting for expenses is work because you’ve got to keep doing it but it has to be done. Good tips. Thanks Cassie, you are right, budgeting is hard work but it has to be done! It’s admirable. You’re story is similar to mind befor I woke up to the realization of my financial obligation. I too will pass this knowledge to my kids.